The shares of Yahoo! Inc. (NASDAQ:YHOO) soared in excess of 6 percent after the technology company announced tax-free spin-off of its 15 percent stake in the ecommerce company, Alibaba Group Holding Ltd (NYSE:BABA). The tech company holds 15 percent shares of the ecommerce giant and its stake is valued at $40 billion at least. Yahoo announced that it will spin-off its stake tax-free by forming a new investment company, SpinCo, and the shares of the company would be distributed among Yahoo shareholders on pro-rata basis. Post the spin-off of Alibaba Group Holding Ltd (NYSE:BABA)’s stake, Yahoo! 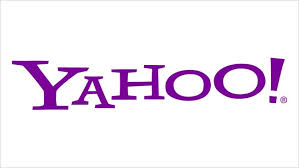 Inc. (NASDAQ:YHOO) will continue its core business operations and would keep its stake in Yahoo Japan. This transaction will take place in the fourth quarter 2015 after the end of the one-year lock-up period. With the spin-off of Alibaba Group Holding Ltd (NYSE:BABA)’s stake, Yahoo would have returned up to $50 billion to its shareholders until now. After facing a continuous pressure from the investors regarding the spin-off of Alibaba Group Holding Ltd (NYSE:BABA), Mayer could finally take a sigh of relief and focus towards the core business of the company.